Today, I’m guest posting over on The Natural Homeschool for my friend Tanya! She has a ton of great Montessori-inspired activities like this one about 5 Ancient Civilizations or this one about The History of Time Management. 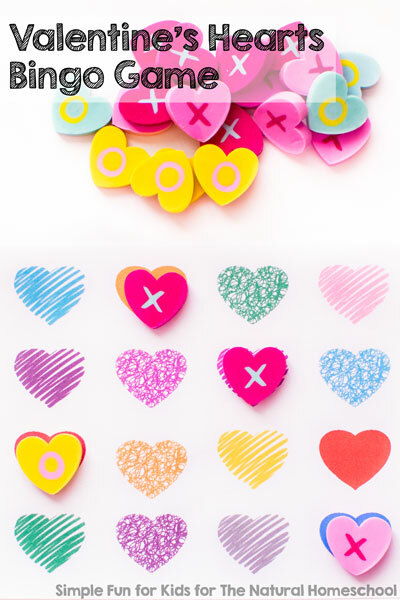 On her site, I’m sharing a Valentine’s Hearts Bingo Game printable. There are four different bingo cards and two different ways to call. Head over there right now to download your copy! Are You Looking for Other Printable Games?